Tuesday Leather Wide Fit Super Curvy is rated 3.6 out of 5 by 12. 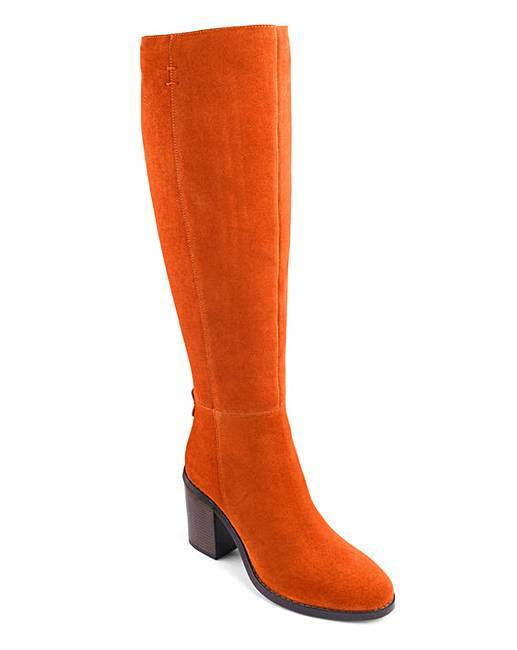 This leather boot will be the perfect day time boot. 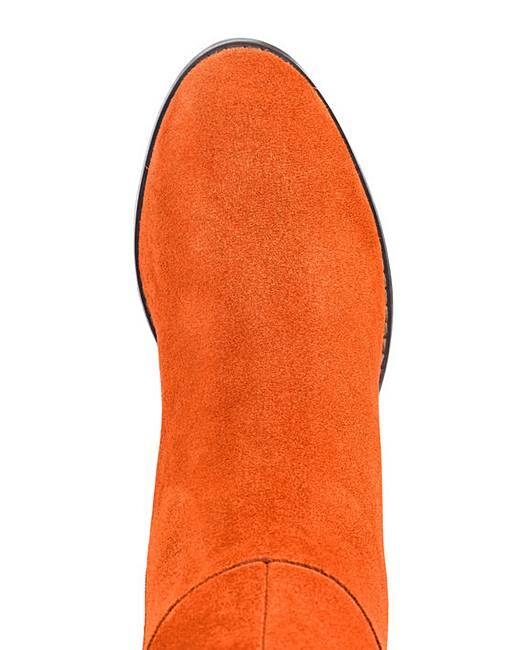 Available in classy black or statement paprika - pair these with skinny jeans for the ultimate look. These boots have been created with inspiration from 3D technology – giving the best and comfiest fit possible. The legs have been sculpted to fit the curve of a true leg shape, with a better fitting ankle also. Rated 4 out of 5 by Michelle from Too big at the top Lovely boot sent back. To big at the top of leg. So still looking . Sent back two wks ago. Rated 1 out of 5 by Hpj from Far too wide Far too wide. I thought I had fat legs but these swamped me so placed another order for regular ones! Rated 5 out of 5 by Charliebob from Love them! Good fit, gorgeous colour. Always get comments on them. Rated 4 out of 5 by STOCKLES from Great Boots Very comfortable boots leather good nice heel height. Rated 1 out of 5 by Mrsvtc from Beautiful colour! Rubbish fit....... So disappointed. 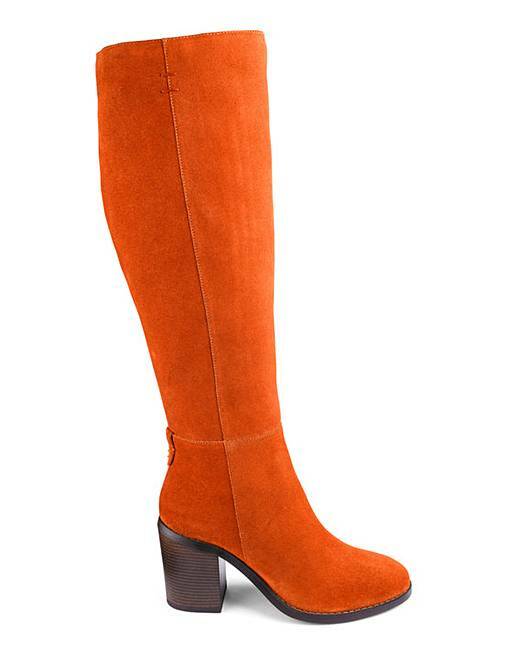 Totally wanted and desired these boots. When the came even the husband liked them ! But there is Big but...... I couldn’t get them near to meet and do up ! Far far too small on the calf . So disgusted I had to return them obviously as I couldn’t even do the zip up to my ankle, omg , bad bad bad. 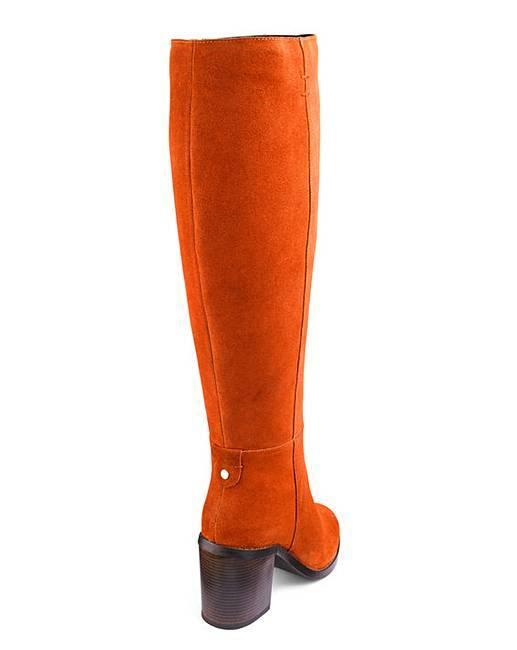 How about proper sizes like extra curvy plus in this colour but LEATHER , not suede as it marks too easily. Oh , if ONLY , they fitted . So gutted. Rated 5 out of 5 by Curvygirl from Beautiful boots! I have large calves so .... size 6 wide shoe was comfy BUT couldn’t close zip even with size wide leg. Tried size7 shoe - too large and zip did close but very snug, and too high behind knee. So disappointed the boots are fab. My big legs fault - not the boots. Rated 2 out of 5 by Zinnia from Too small These are beautiful boots, fab colour and appear well made. Unfortunately in process of returning - calf definitely not super curvey. Gutted.